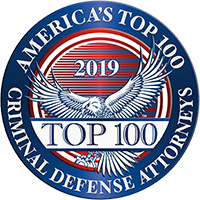 Mr. McKellar has been selected as a member of “America’s Top 100 Criminal Defense Attorneys” in 2019. Bankruptcy is a legal status for a person or entity that cannot repay the debts it owes to creditors. According to the United States Bankruptcy Court, there were more than 1.2 million bankruptcy filings in fiscal year 2012. In a perfect world, a debtor’s bankruptcy would involve timely reporting, good faith filings and full disclosures. Unfortunately, some debtors enter the process under a cloud of suspicion or make decisions during the process that suggest the estate has been compromised by fraudulent activity. This is known as bankruptcy fraud. What Is Bankruptcy Fraud And What Impact Does It Have? During the bankruptcy process, creditors are allowed to liquidate only those assets listed by the debtor in the filing. Unfortunately, if certain assets are not listed or have been hidden by the debtor, creditors may not be able to recover the fullest extent of the debt owed to them. In some cases, individuals and even businesses may transfer hidden assets to relatives, friends or associates as another way of hiding assets from creditors. As a result, bankruptcy fraud can actually raise the risk and costs associated with lending, making it less attractive to financial institutions. This affects not only the person filing the claim, but it can also affect anyone wishing to borrow money from a creditor. What Is A Petition Mill? Petition mills are a bankruptcy fraud scheme taking hold in the United States. These operations target cash-strapped residents, offering the promise of no eviction in exchange for consulting services. Though the tenant thinks he or she is receiving help in avoiding eviction, the petition mill is really filing for bankruptcy on the tenant’s behalf and delaying the case in court. The petition mill will also charge enormous fees that end up draining the tenant’s savings and ruining his or her credit score in the process. Multiple-filing fraud is the process by which an individual files bankruptcy in several states, all the while using the same name and information used in previous filings. In most cases, multiple-filing fraud occurs when debtors try to conceal assets they do not want to be liquidated and awarded to creditors. Unfortunately for the court system and other debtors, this type of fraud severely affects the court system’s ability to process and manage cases efficiently. In the United States, bankruptcy fraud is a federal crime. Under title 18 U.S.C. § 157, any defendant who undertakes a fraud scheme against anyone and then carries out or conceals the scheme by filing for bankruptcy or by filing any documents in the bankruptcy violates this statute. Proof of fraud requires showing that the defendant knowingly and fraudulently made a misrepresentation of material fact. Convictions for this crime carry a sentence of up to five years in prison and/or a fine of up to $250,000. Allegations of bankruptcy fraud should be taken seriously, as they can lead to harsh prosecution and serious consequences if convicted. You need a lawyer with a deep understanding of federal law who is able to fight for your rights no matter how challenging the situation. 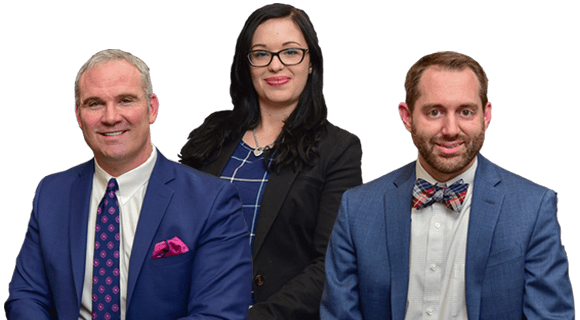 At McKellar & Easter, Attorneys at Law, we have considerable experience handling a variety of federal crime cases, including cases involving allegations of bankruptcy fraud. We know how to defend against these types of charges and have had success with other cases. Let us be your guide through this challenging time. Call 865-566-0125 or send us an email to schedule a free initial telephone consultation with a criminal defense attorney at our firm. Appointments are available at any of our three offices: Knoxville, Tennessee; Nashville, Tennessee; and Atlanta, Georgia. We accept credit cards.